Miller Genuine Draft embodies the ultimate in cosmopolitan beer cool. It’s dynamic and contemporary appearance demands attention, making it the perfect modern icon for successful young adults. On consumer pathways in different cities around the world, this brand is ever present during high energy nights in places that include bars, nightclubs and parties. 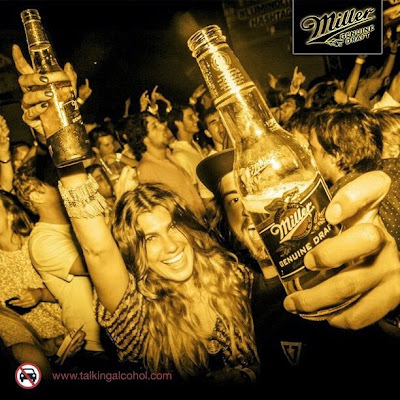 Strongly identified with Electronic Dance Music, Miller Genuine Draft is the beer of choice for the nightlife habitués enriching the experience as part of the modern club culture. Worldwide music events such as Miller’s Soundclash and Luminocity and special partnerships with respected headphone brand V-Moda and DJ gear UDG, Miller Genuine Draft’s landmark music events continue to create buzz in the music circles with marked presence in features of worldwide music magazine DJ Mag Top 100 and the online music website Mixcloud. Miller Genuine Draft’s refined taste and super-premium quality make it the smooth and refreshing beer of choice in the best outlets around the world. The Miller Brewing Company’s story begins in 1855, when Fredrick Miller emigrated from Germany to the United States. At the time, the idea that his name would one day become a worldwide brand, shining from sign to screen on every continent, would have been nothing short of miraculous. The father of the Miller Brewing Company had no lack of ambition, but he began with more earth-bound expectations. Blessed with a strong work ethic, a deep understanding of brewing, and an instinctive nose for quality, Miller came to the new world as a pioneer, hoping to practice his craft and make a living. From the very beginning, Fredrick Miller conducted his business with a unique blend of skill, tenacity and passion. These character traits still lie at the core of the Miller Brewing Company. Building on this foundation, later generations of leaders have adapted and extended these traits, carrying the company and its brands to the forefront of the world’s beer industry. The story of Miller is, on one level, an intensely personal narrative about one man’s vision for excellence in beer. However, it’s also a classic case study of an entrepreneurial spirit at work. Fredrick Miller spoke passionately about “Quality, Uncompromising and Unchanging”. In fact, it became his slogan, his vision and his mission for the Miller Brewing Company. Miller did more than speak his vision. He lived it,in both the way he operated his business and the way he handled his personal triumphs and tragedies. 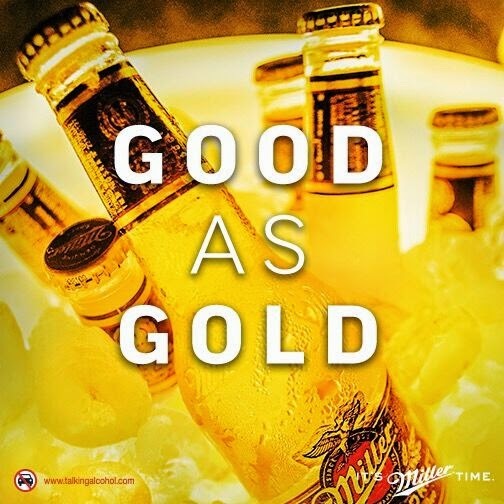 Producing fine lager beer in the German brewing style, Fredrick Miller established the Miller Brewing Company in Milwaukee, Wisconsin, the same brewing site that is still in use today and is one of the oldest still functioning breweries in the United States. Fast forward to the present, and the Miller Brewing Company remains one of the most admired breweries in the world, continually striving to offer consumers new and innovative beers that push category boundaries. There is no better example of this than Miller Genuine Draft. Launched in 1987 in the United States, Miller Genuine Draft is the ultimate expression of “Quality, Uncompromising and Unchanging”. MGD is a brewing breakthrough which channeled the Miller Brewing Company’s passion for innovation and created a whole new category in the USA. Instead of heat pasteurizing in steam tunnels, MGD is cold-filtered through a ceramic filtration system before packaging. This truly innovative use of technology is complemented by a filling process that takes place in a ‘clean environment’ worthy of any operating theatre in the world. The benefit of this process is that Miller Genuine Draft has the fresh, smooth taste of unpasteurized draft beer. With such breakthrough technology applied to brewing, Miller Genuine Draft became one of the fastest growing beers in the USA. Miller Genuine Draft is an iconic American beer that delivers an exceptionally smooth and refreshing taste. Using a pioneered cold-filtration process, MGD is never exposed to any form of heat treatment. This locks in the many subtle flavors that make this beer so easy to drink and preserves a genuine brewery-fresh taste. Using only the best American ingredients, Miller Genuine Draft uses a blend of crystal malt, proprietary Light Stable Choice De-bittered Hops, tetra hops and a golden thread of yeast which originates from the strain used by Fredrick Miller in 1855. The combination of this pioneering process and super-premium ingredients is a distinctive, golden beer that commands attention in cities all around the world. Water plays a fundamental role in defining the final characteristics of Miller Genuine Draft. Water is the ingredient used in the greatest quantity, the standards we set for water quality are always incredibly high. To deliver a pure, fresh taste, we use ‘soft water’ with low carbonates, no odor, taste or color. The water is tasted and analyzed by the master brewer daily, to ensure that it is of high quality and ‘softness’. During the water treatment process, any ingredients that would otherwise be harmful to the beer are filtered out. All Miller Genuine Draft breweries use the same water treatment process to ensure that the water meets specified standards and delivers a consistently super-premium quality beer. Only the finest variety of barley is used in the making of Miller Genuine Draft. Two row and six row spring barley has the best characteristics for beer production. Using a blend of these two different types of barley helps to develop a smooth, American style lager. Spring Barley is sourced from the heartland of America, specifically, the upper Midwest region, and contains fewer of the proteins that cause clouding. This produces a clearer liquid for Miller Genuine Draft production. Before it can be used in beer production, barley is transformed into malt via a process called ‘malting’. During this process, carried out in designated malting plants, most of the barley components are broken down into smaller particles that can be more readily transformed by the yeast. During malting, enzymes are activated that act on the sugars and proteins in barley to reduce their size and make them easier to convert during subsequent stages of the brewing process. 1. Proprietary Light Stable Choice De-bittered Hops (LSCDH) allow Miller Genuine Draft to be uniquely light stable and subsequently packaged in a clear bottle without the risk of spoiling. These hops also provide a distinctively smooth mouthfeel and hoppy flavor. 2. Special Tetra hops provide balanced bitterness and give Miller Genuine Draft its distinctive character. The yeast used in Miller Genuine Draft is propagated from a single strain whose lineage traces back to Germany. This golden thread of yeast links right back to Miller Origins and was brought to Wisconsin by Fredrick Miller in the 1850’s. To help create MGD’s unique profile, this bottom fermenting yeast is used in all breweries around the world. It helps to deliver a subtle fruity aftertaste in our beer. No expense is spared in the production of Miller Genuine Draft. With its highly innovative nature, it is not only the use of the finest ingredients that delivers super-premium quality, but the extensive investment which is placed in technology and craftsmanship around the brand. In order to be an international super-premium brand for one of the largest brewers in the world everything needs to be perfect. Perhaps the most unique aspect of Miller Genuine Draft’s packaging is the beautiful clear flint bottle. The majority of bottled beers in the world use either green or brown glass as a way of protecting the beer inside from the harmful effect of light. Due to our proprietary LSCDH hopping process, the beer is so stable that it can withstand exposure to light that would ruin most beers, thus permitting use of the clear bottle. Sterile filtration also plays a role in the packaging design. The 4th cold filtration of the beer produces such a pure and distinctive golden brilliance in the liquid that it was consciously selected to showcase it by using the perfectly clear flint bottle.